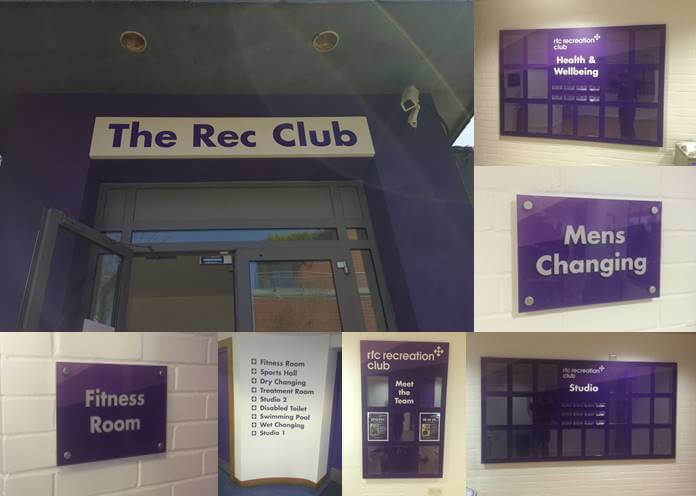 We were approached by a recreation club to help them design new signage for their newly refurbished gym. They needed a simple new main sign and internal signs that would match their brand. They also needed a range of customised noticeboards that they could keep updated themselves and wanted to utilise a curved wall to direct people around the site..
We designed, supplied and installaed a range of signs for them and they have just come back to us for stage two now that they have completed further renovation.